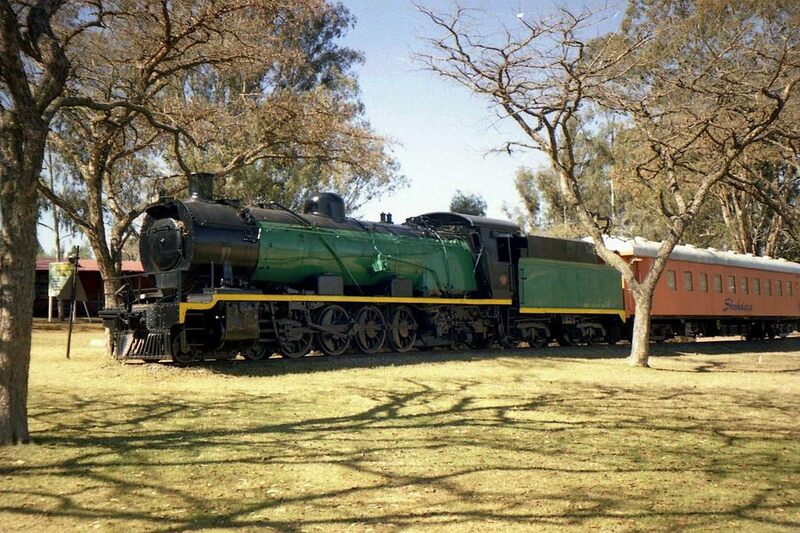 old STEAM LOCOMOTIVES in South Africa: ex SAR class 14R loco at Talana Museum, Dundee, Kwa Zulu Natal. 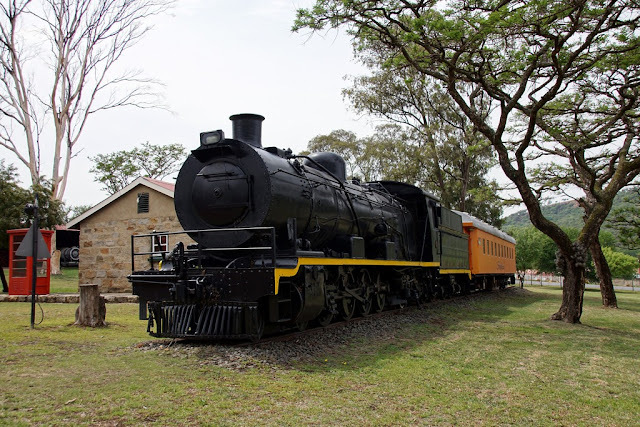 ex SAR class 14R loco at Talana Museum, Dundee, Kwa Zulu Natal. The fine Talana Museum with 17 buildings on a 20 acre heritage park is located just outside Dundee, and is well worth a visit. On display is an ex-SAR class 14R #1723 steam locomotive which saw its last service as an industrial engine numbered "1" at the Natal Cambrian Collieries Ltd. This 2016 image courtesy of the photographer Laurie Mulrine; it was 1st published here: SAR Class 14: No. 1723, Talana Hill Mining Museum, Dundee, Kwazulu-Natal. 20.10.2016. 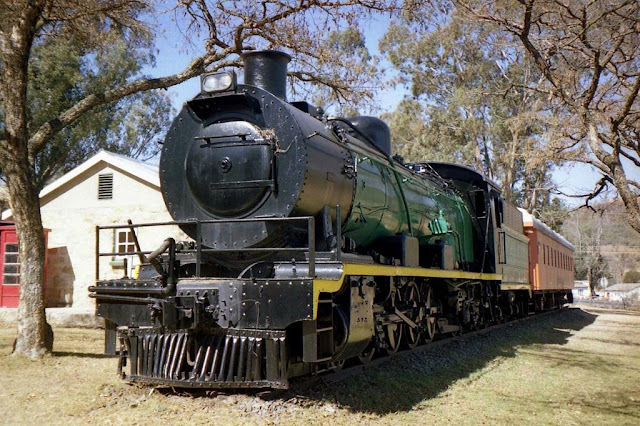 This 2003 image courtesy of the photographer Laurie Mulrine; it was 1st published here: SAR Class 14R: 1723, Talana Hill Mining Museum, Dundee, KZN, South Africa. 25.08.2003. 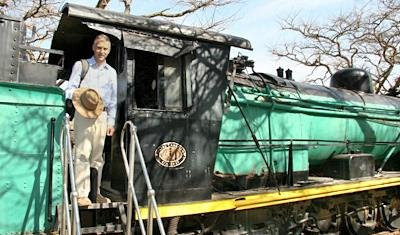 The locomotive was built as works no 3607 in 1915 by Robert Stephenson & Co. Ltd of Darlington, England. The cab is in excellent condition! The boiler numbers are 20645/8877 - the former being the government number and the latter the SAR number. The Natal Cambrian Colieries Ltd. was owned by the Graham Beck Group Ltd, located at Ballengeich, 16 km south of Newcastle. The locomotive No 1 was used to move coal over the 1 km connection to the SAR sidings on the Durban to Johannesburg main line and also to shunt the adjacent works of AECI Chlor-Alkali and Plastics Ltd.
After a diesel arrived at the collieries the steam locomotive was stored and did not see further service until it was moved to the Talana Museum. 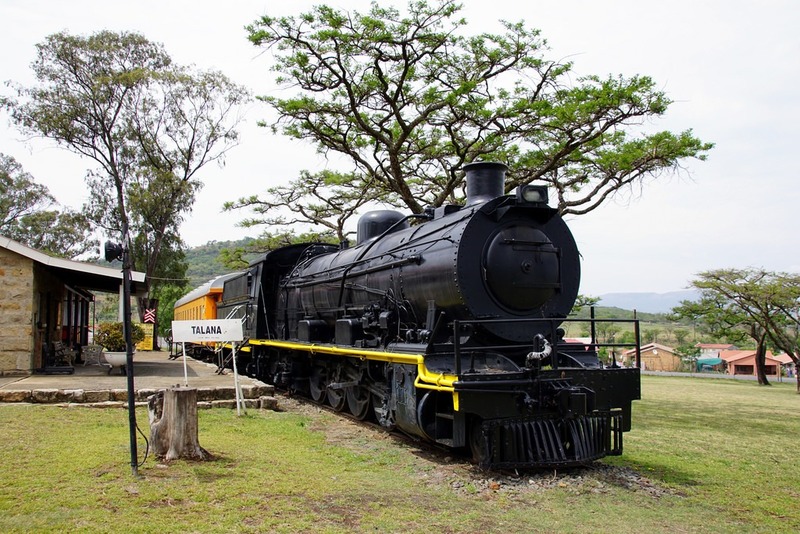 Between 1913 and 1915, 45 Class 14 locomotives were delivered by Robert Stephenson and Co and placed in service between Durban and Ladysmith. 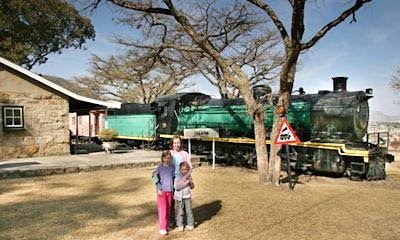 They were superheated and had Walschaert's valve gear. 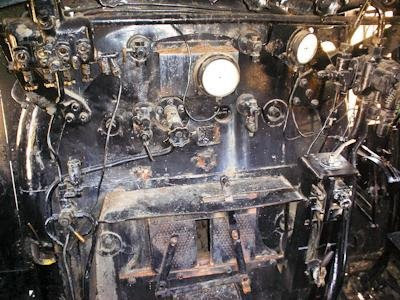 In the 1930's when these engines required new boilers they were given the standard No 2 boiler and classified Class 14R. 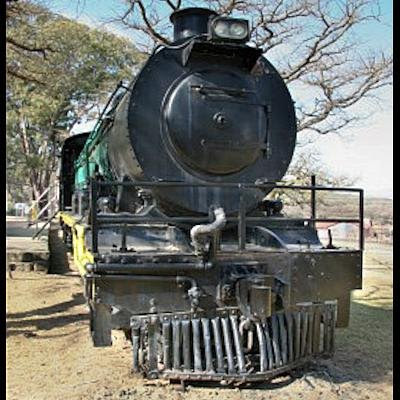 With the gradual electrification of the Natal main line their responsibilities were eroded until they were left to operate on the "old" main line via Botha's Hill until that, too, was electrified. 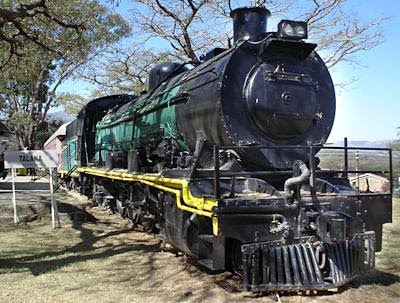 The 14R's duties in Natal were retained however, as relaying of the north and south coast lines allowed their utilisation at Empageni and Port Shepstone, respectively. 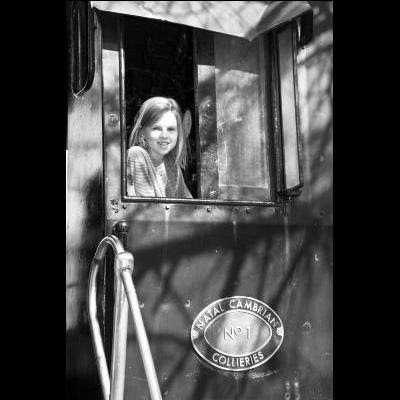 In 1976 many of this class were transferred to the Reef for shunting duties. They were all withdrawn by 1983.